Seattle, WA – Dayglow Killed the Radio Star – New Elysian Brewing Manic IPA. Remember Dayglow? The green, the blue, the pink, the orange? 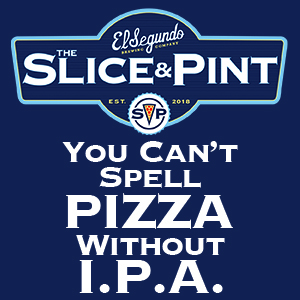 Well it’s back, this time embodied in a beer, the latest release in Elysian’s Manic IPA Series. 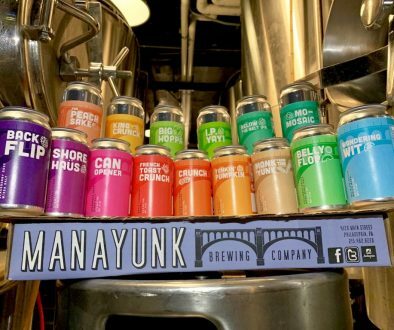 No, the beer itself isn’t green or pink, it’s the vibrancy of the hops that provides the color out of space. And of course the label–a psychedelic tiger, shooting laser beams out of its eyes. 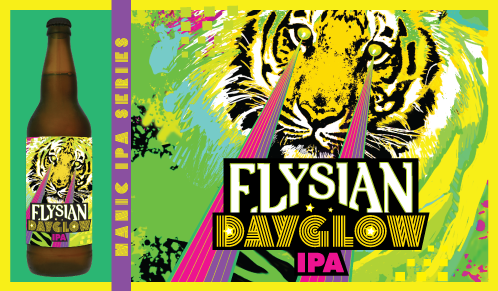 That insistent, thumping, interwoven beat from all those bars down the beach, the strobing lights, the whirling colors and the trees painted glow-in-the-dark, those are the hops in Dayglow, the latest release in Elysian’s Manic IPA Series. Juicy, sunshiny Mosaic fills your mouth, with scintillating Eldorado and fruity Centennial raving right alongside. A little bit of wheat in the malt bill hazes things just a bit around the edges, alcohol is at 6.5% by volume, and the IBUs are stuck in the sixties. 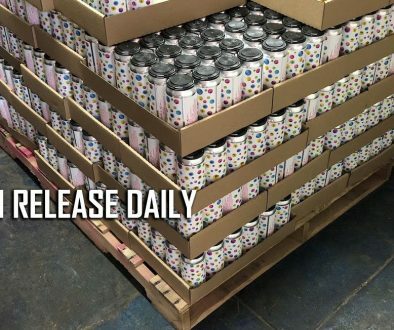 You won’t be able to get away from Dayglow beginning May 1, arriving in 22-ounce bottles and on draft in the trippy stores, bars and restaurants where you already hang out.